MAC FARLEN CHURCH - Ever since it was constructed in the year 1890 - 91, this magnificent building has been the landmark of Kalimpong. This beautiful church was built on 1 Nov 1891 by the Scottish Missionaries. . In the early days the sermons were in 10 different languages for the purpose of spreading Christianity. These were – Bodo, Nepali, Bengali, Hindi, English, Chinese, Lepcha , Sanskrit, Urdu and Tibetan. TSONGA GUMBA- This is the oldest Bhutanese monastery in the district of Darjeeling proving the presence and the hold of Bhutan over Kalimpong. Many scholars are of the opinion that it was built around the late 1600's. Surgeon Rennie has mentioned in his book of 1865(Bhutan and the story of the Doar war), of a monastery in KPG where 3 monks resided and he had called this monastery as Tusso Cimpa. He was referring to this monastery. NATURE INTERPRETATION CENTRE- This is an Ecological museum set up by forest dept in the year 1990. Visitors must stopover at this museum for getting a fair idea about the wildlife of the hills. Samples and photos of fauna like the beetles, butterflies and animals are exhibited here. ZANG DHOK PALRI PHODANG 1976- Also known as the Durpin Monastery, it is the largest monastery in Kalimpong and was consecrated by His Holiness the Dalai Lama himself in 1976. It is situated at 1372 mts on the peak of Durpin hill, from where a majestic view of the town and Mt. Kanchenjunga can be seen. LEPCHA MUSEUM- Situated about a kilometer from town, this museum has various articles of interest for those who want to know about the Lepcha culture and heritage. The entire are of the Darjeeling and Sikkim is known as The land of the Lepchas. Various articles of worship, original lepcha musical instruments and many other articles can be found here. THE PINE VIEW NURSERY- Also known as the famous Cactus nursery, this nursery has turned into one of the major places of tourist interest. Situated in the outskirts, this nursery is home to almost 1500 varieties of cacti ranging from just Rs. 20/- to an extravagant few million! This place is a must visit for all the plant lovers and has also earned a reputation as being one of the finest in Asia regarding cacti. 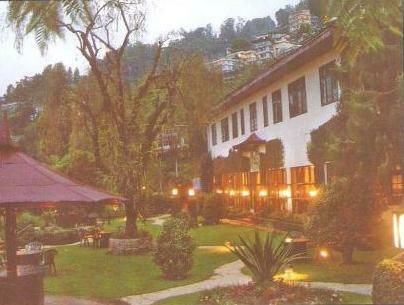 MORGAN HOUSE- The Morgan House or the Singhamari is one of the oldest Colonial bungalows that was built after the British opened up Kalimpong as a hill resort. It is currently under the West Bengal Tourist Development Corporation. This is a very beautiful example of a colonial past of Kalimpong. DEOLO HILL- Situated at a height of 5500ft, Deolo is the highest point of Kalimpong town. The view from the Hill is a fantastic one can see the entire kalimpong Town, the magnificent Mt. Kanchenjunga, the surrounding villages and Relli valley on one side with the River on the other. 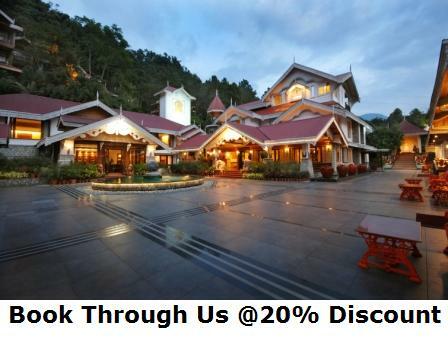 It is one of the most popular destinations of Kalimpong where views are concerned. HANUMAN TOK- As the name suggests, Hanuman Tok has a huge statue of Lord Hanuman approximately 25 to 30 ft in height located on a hill top not very far away from the Science City. 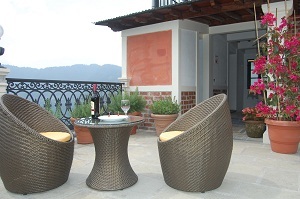 Here fantastic views of the both sides of the hill can be seen along with the Himalayan range. A small mandir of Goddess Durga is found right in front of the statue. SCIENCE CITY- A very new addition to the tourism of Kalimpong is the Science City. Located less than a kilometer away from Deolo Hill, this is a place which is of tremendous joy especially to the children. Dr.GRAHAM’S HOMES- Dr. J.A. Graham is one of the pioneers of the development of Kalimpong ever since it’s beginning. It was through him that Kalimpong gained popularity throughout Europe. On 24 Sept 1900, an area of 100 acres was granted by the British to Dr.Graham for his project of the St Andrews colonial homes. MANGAL DHAM- This extremely beautiful and well maintained Hindu temple has been built by the Pranamis in memory of the late Guru shree 108 Mangaldasji. GANGJONG HAND MADE PAPER INDUSTRY- This is the indigenous hand made paper factory of its own kind. Awarded by several organizations for its excellent work. NURSERIES- Kalimpong is world wide known for its quality and the varieties of flowers. Feel and smell the peace and freshness of different flora in various nurseries. CHITRA BHANU- Summer resort of Rishi Rabindranath Tagore, where he wrote several plays and poems during his stay here. LAVA, LOLAYGAON & Reyshap - Stay is recommended at these places for 1 night atleast Short drives through dense forests from Kalimpong are tourist spots with unspoiled idyllic surroundings. Lava is the gateway to the Neora National Park. Lolaygaon offers a fascinating view of sunrise from Jhandidara. Reyshap is an idyllic hamlet where you get to see some of the most enchanting views. RIVER REAFTING- River Teesta has an ideal condition throughout the year except the monsoons (June to August) for white water rafting. For those adventurous people visiting Kalimpong, a rafting trip in the River Teesta can be arranged. SHERPA TAAR OR SHERPA VIEW POINT JELEPLA PASS- This can be seen with the mountains descending to the hills and river valleys below. On the southern side is the Relli river valley with Kafer and the hills of Samthar plateau. On the North is Sikkim and the Kinchenjunga panorama. ARMY GOLF COURSE -A nine hole golf course overlooking beautiful views of the mountains. FOREST NATURE MUSEUM- The museum houses exhibits, books, photographs, and information on the effects of human interaction with the ecology of the area. It also highlights aspects of ecological conservation such as depletion of forest reserves, soil conservation, and extinction of animals. Entry is free to this museum and visiting hours are from 10am to 4pm on all days except Thursdays. The museum is within walking distance from the town centre. CACTUS SHOW- Hundreds of visitors thronged a nursery to see a cactus show displaying unique varieties of the thorny plant in West Bengal's Kalimpong District. The cactus nursery houses the largest collection of cacti in India and in Asia, with over 1,500 varieties. SAMTHAR PLATEAU- Scenic and remote plateau, at an elevation of 1400 metres, it is 80 kms from Kalimpong, and 45 kms from Lava. It has breathtaking snow views of the entire range, superb sunrise and sunset, picture post card hamlets, exotic flora, forest, mountain streams, river pools “far from the maddening crowds”. Popular for nature holidays, walking tours, angling, mountain biking and nature and cultural explorations on foot.